Be among the first to ever watch a film in the new Media Store. Explore the newly-built venue with clearer screen and true surround sound. 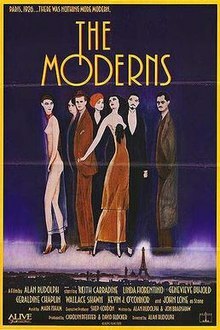 Showing on Wednesday 21 March, 2:00pm-4:00pm will be ‘The Moderns’. Directed by Alan Rudolph this is a dryly comic kaleidoscope set in the birth of modern art in Paris, featuring Keith Carradine as a laconic artist commissioned to copy masterpieces and getting caught up in love and the business of fine painting. This entry was posted in Mar and tagged Calderdale Libr, Central Library and Archives.